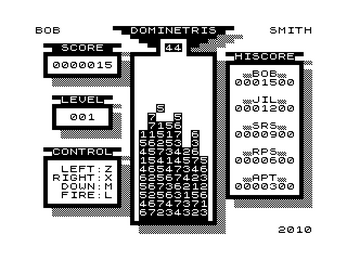 Arrange the dominoes as they tumble from the sky so that matching digits are adjacent, either horizontally or vertically, to each other. 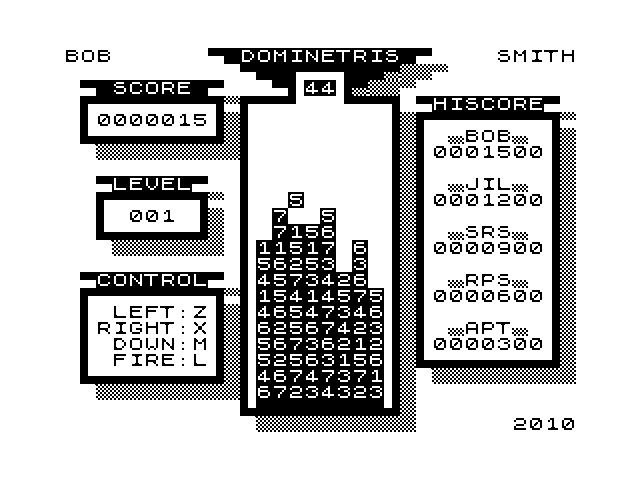 Align the same number of digits as the digit itself to make those dominoes disappear. 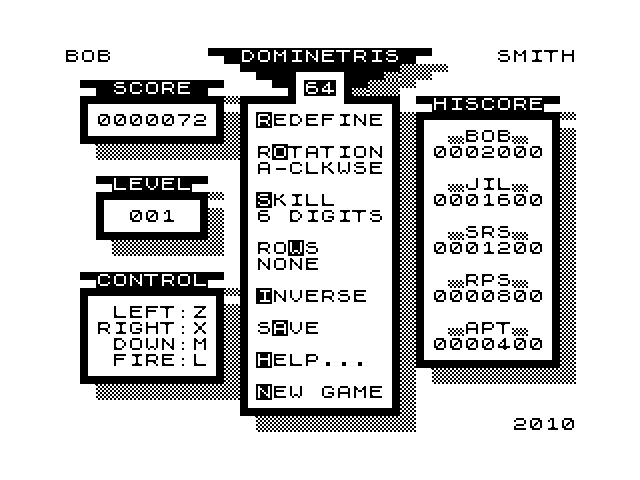 Originally written for the ZX Spectrum in 2005 as a test to see if I still could, and still wanted to, code in Z80 assembler, it seemed a perfect choice to attempt this game again as my first title on the ZX81. 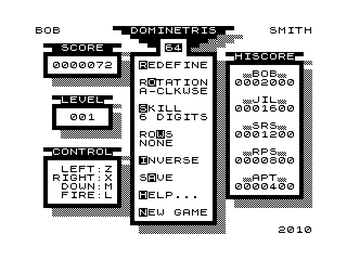 Thanks to contributions on the Bob's Stuff Facebook page, and also of the ZX81 forums hosted by RWAP services, the game has grown and improved from its original implementation with new features, such as Bombs, a larger playing area, an additional control method, and the option for initial random rows.